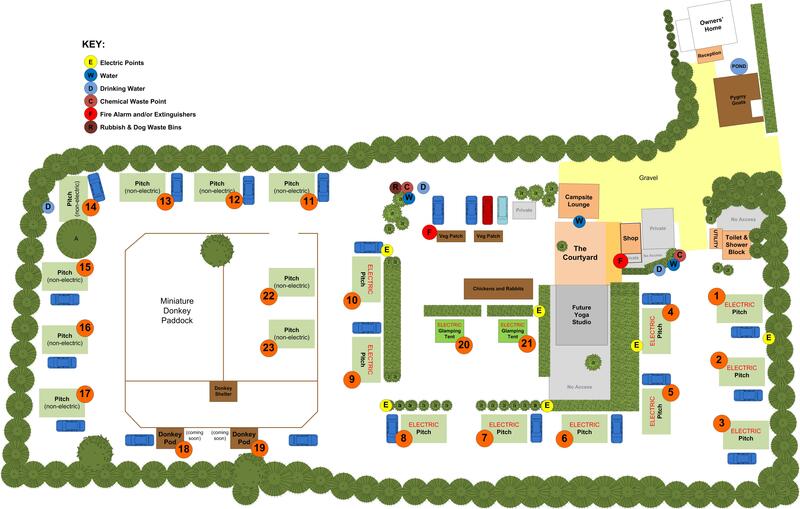 This is a scale plan of our campsite. Please use this to identify which pitch(es) you would prefer. We will try to accommodate your preferences wherever possible, but this will obviously be subject to other guests/bookings.